Barcelona legend Xavi Hernandez was officially unveiled by Al Sadd on Thursday and said he was "proud" to now be playing for the Qatari side. Just five days after Barcelona's Champions League triumph against Juventus, which sealed a treble for the Spanish giants, Xavi was paraded at a packed press conference in Doha. The midfielder has signed a two-year contract, which could be extended to three years, and will play and coach as well as be an ambassador for Qatar's troubled World Cup 2022 bid. 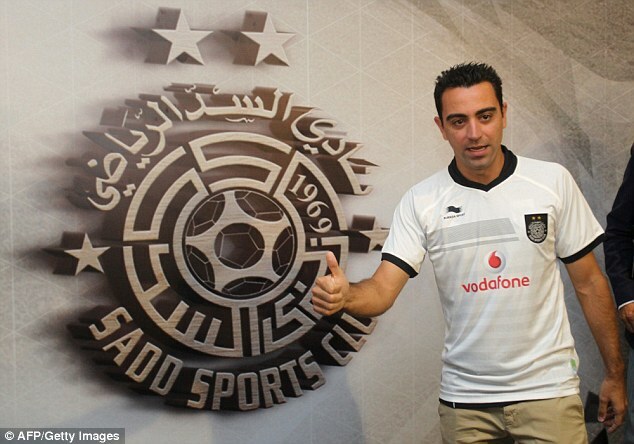 "I am very, very proud to be part and parcel of Al Sadd Football Club," said the 35-year-old. "I hope I will be able to lift all titles with this very important club and continue with my achievements," he said. "I would like to thank Al Sadd Sports Club and all the Qatari people." 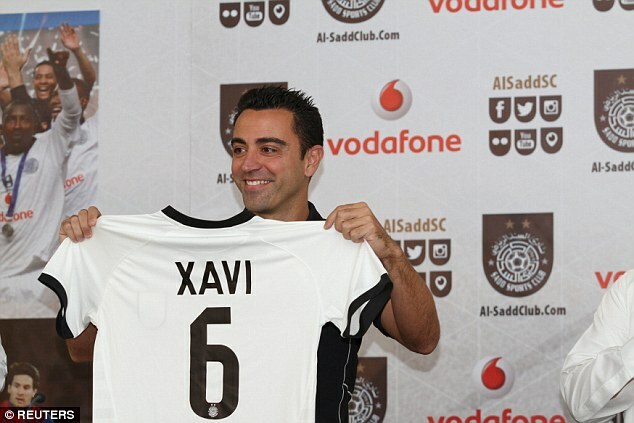 Watched by family and friends during the press conference, Xavi was handed and wore an unfamiliar white Al Sadd number six shirt after spending more than 20 years in the famous colours of Barcelona. His signing is arguably the biggest ever by a Qatari side. Xavi, Barcelona's most decorated player of all time, was also one of the heroes of Spain's Euro and World Cup-winning squads. He will also be remembered as a central figure of Barcelona's revolutionary 'tiki-taka' style of football, which relies on possession and passing, and helped the Catalan side to become arguably the dominant team in Europe in the first decade of the century. He follows in the footsteps of other Spanish stars who have played in Qatar including Real Madrid forward Raul who played 39 games for Al Sadd.